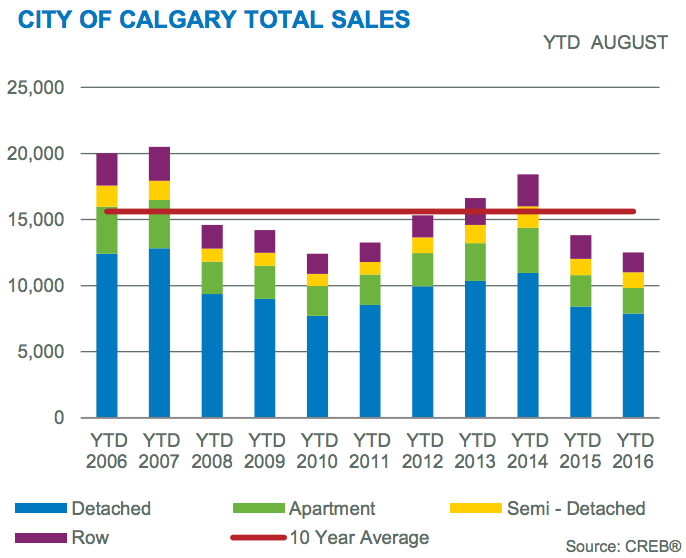 Calgary home sales fell again in August, dropping 4.57 per cent from the previous year, but the Calgary Real Estate Board (CREB) has emphasized that looking at that figure is not the best way to gauge what’s happening in the market. In its latest report, released September 1st, the real estate board explains that last month there were “big differences in [sales] activity between the detached sector, versus the high density apartment and attached segments of the market.” While detached home sales fell just 1.41 per cent from August 2015, apartment sales sank 4.98 per cent and attached home sales dropped 12.81 per cent. Apartments and attached homes also saw much bigger price declines than detached homes. 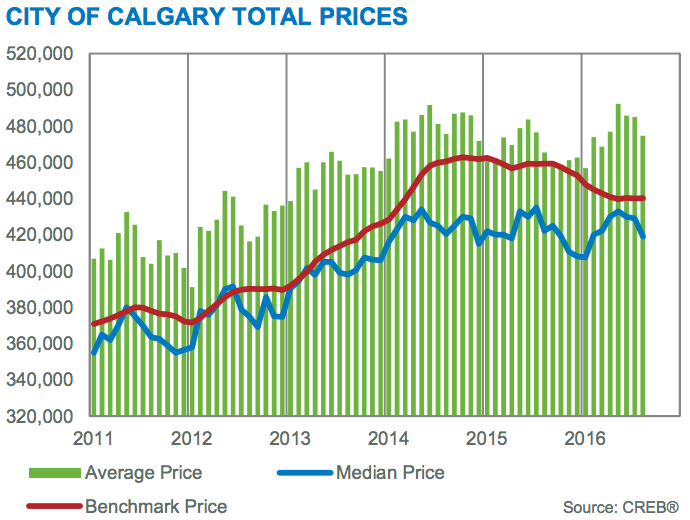 CREB data shows that in August the benchmark price for a detached home in Calgary was $503,200, down 3.3 per cent year-over-year. Meanwhile, benchmark prices for apartments and attached homes saw larger year-over-year drops of 7.1 per cent and 4.69 per cent, respectively. According to CREB Chief Economist Ann-Marie Lurie, detached home prices had the smallest fall last month because detached inventory and sales remain in balance. “While overall sales have eased for detached homes, so too has the amount of new listings on the market preventing inventories from reaching previous highs and limiting the downward pressure on pricing,” she said in a press release. The same cannot be said for apartments and attached homes. Per the CREB’s report, inventory for both home types was unusually high in August — apartment inventory was up 28.04 per cent year-over-year, while attached inventory was up 18.18 per cent. So far this year, the apartment sector has averaged 6.22 months of supply and the attached sector has averaged 4.23 months, well ahead of 2.94 months for detached sector. 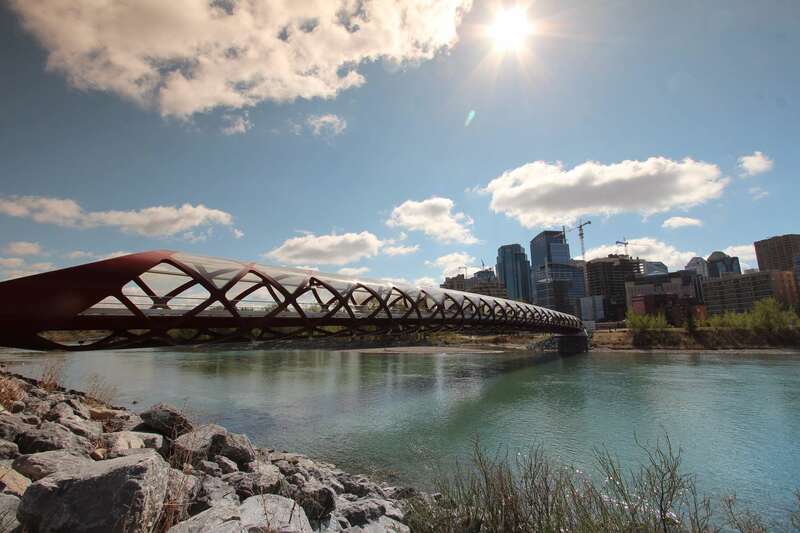 Because of the differences between the apartment and attached sectors and the detached sector, CREB President Cliff Stevenson is encouraging those buying and selling homes in Calgary not to make decisions based on city-wide housing data.